The easiest and most fun way to play Sudoku. 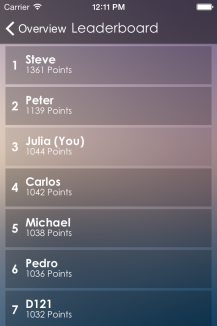 Solve Sudokus by yourself or dominate the global leaderboard. 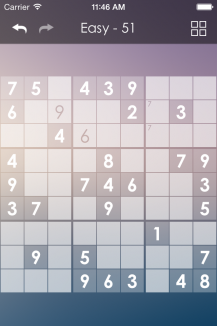 Sudoku Champions is the last Sudoku app you’ll ever need. With hundreds of puzzles in varying levels of difficulty and a global leaderboard, you decide whether you want to just go for a relaxing round of puzzling, or if you want to dominate your friends and become the ultimate Sudoku Champion. 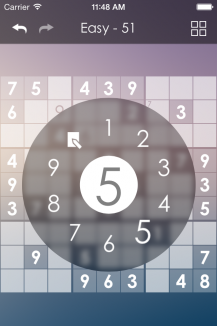 With Sudoku Champions, we’ve developed an entirely new way of playing Sudoku on a mobile device. The Dial is the easiest way of putting down numbers since the invention of the pencil. Simply hold your finger on a square and let go on the number of your choice. No more unnecessary taps and clicks – one number, one tap. Comments are not a problem either. Simply let go over the Comments-icon and toggle the numbers you want to enter as comments with a single tap. You can even set colors to get a better overview of your puzzle. In the mood to see how you stack up against others? 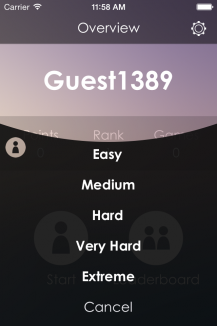 The leaderboard lets you compare your score to players all around the world. Let everybody know who they’re dealing with.